Naoufel Eljammali, a lawyer and member of the Tunisian Muslim Democrat Ennahdha Renaissance Party´s Executive Committee, as well as of the Parliament’s committee for external relations, held meetings in the European Parliament. As he said, his party had close relations with the European People’s Party (EPP), the largest political family in Europe. He said he was coming to the European Parliament to inform of developments in Tunisia, given the importance of the EU support to the democratic transition of Tunisia. Last October Commission President Jean-Claude Juncker was in Tunisia and agreements were signed for EU support in areas such as energy sector, tax reform, socio-economic transformation, promoting solidarity, competitiveness and foreign trade as well as the justice system. Since 2011, the EU has given financial support to Tunisia to the tune of €10 billion. 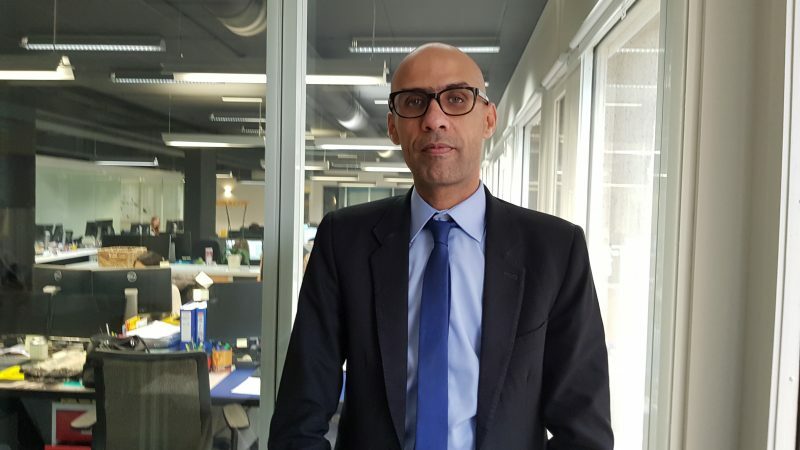 Eljammali said it was important that the support for the democratic transition of Tunisia would continue after the May 2019 European elections. He said his country would hold parliamentary elections most probably by the end of October. “Our main message is about the need to support our recent democracy, which is making its proofs”, he said, adding that these would be the fourth democratic elections his country will be holding. In this process, he stressed, Ennahdha was continuing to play “the main role”. He described his party as “offering a real alternative, not only to Tunisia, but to the world”, given that it has an Islamist background, but is engaging into “a new experience of Muslims-democrats, similar to the Christian-Democrats in Europe”. “Every day, we show that the Arab-Muslim peoples need not to choose only between dictatorship and terrorism, there is a third way of democracy. We consider we are providing the proof that it is possible to be at the same time Muslims and democrats”, he said. “I will not hide that we feel closer, on philosophical grounds, to the EPP group, although we are open to discussion with all the friends of Tunisia, and we don’t see ideological barriers when it comes to developing the common interest between Tunisia and and Europe”, he said, adding that his country was in fact closer to some countries in Europe than to countries on its own side of the Mediterranean. He further argued that Tunisia was now anchored among the democratic countries in the world. “The fact that we are organising democratic elections for the fourth time shows we are on the democracy track, even though we have economic and financial problems”, he said, adding that this positive experience deserved to be supported internationally. He also pleaded that the EU would adapt its policy vis-à-vis the countries from the Mediterranean, in the same way it has been differentiating between the six countries of the Eastern Partnership. “Maybe we should envisage a neighbourhood policy at several speeds, because the level of relations, the political and economic stakes with Tunisia are much higher than with its southern neighbours, he said. “We fully deserve that Europe would consider seriously our proposal for an enhanced neighbourhood policy with Tunisia”, he said. Asked if Tunisia was itself as a model for other countries to follow, Eljammali insisted that his country was small and didn’t see itself as “an exporter of democracy”. But he added that whoever was feeling like it could get inspiration from what he called “the success story” of his country. Asked about the security situation after the 2015 terrorist attack in which 60 people were killed, most of them foreigners, he said the situation was much better, and that days ago the minister of tourism had reported a 20% increase of the number of tourists, compared with the previous year. But he admitted that in some areas security forces were making a “colossal effort” to ensure safety. “Tunis is not less secure or less secure than any other world capital”, he said. Asked about the push from some EU countries to have “disembarkation platforms” set outside the EU to process prospective migrants, Eljammali made it plain that this was a no-go. “This proposal was rejected by the Tunisian ministry of foreign affairs, because my country has a problem with the approach. 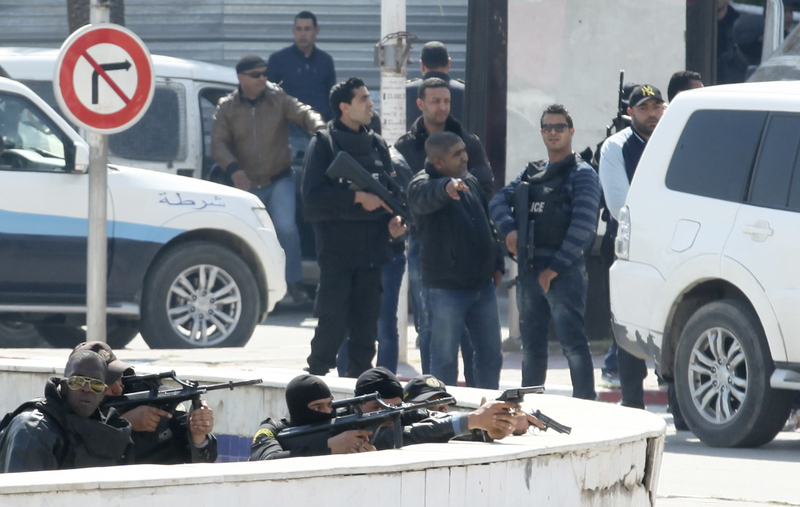 We don’t want to transform Tunisia into a detention centre”, he said. According to the politician, Tunisia is doing well its job by controlling its terrestrial borders. He insisted that the migration flows that come to Europe do not come from Tunisian territory. He pleaded for a global approach on migration, also linking the freedom of movement in the context of the deep and comprehensive free trade agreement in negotiation with the EU. A security-based approach only on migration is not acceptable, he insisted.